In the summer heat, water parks are especially popular. People in the city can enjoy the cool air in summer days without going to a summer resort. Here are eight recommended water parks in China. Dino Beach is located at Qibao (Seven Treasures) Town in Shanghai, covering an area of 86.67 ㎡. At present, it is one of the largest outdoor water parks in Asia. Dino Beach offers more than 30 breathtaking and exciting aspects of water entertainment, and the artificial scenery spots include a lake, a river and a beach. 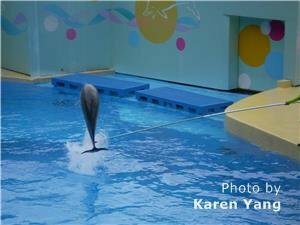 People can enjoy both the water games and the entertainment facilities of an amusement park there. Transportation: Take bus 753 at Lianhualu Subway Station (Lotus Road); or take bus 173 or 763 at Shenzhuang Ditiezhan (Subway Station) Bus Station. Beijing Watercube Waterpark is in the National Aquatics Center of Olympic Sports Park, covering an area of 20,000 ㎡. It is the largest and the most comfortable indoor water park with the most advanced facilities in Asia. It has thrilling, scream inducing water entertainment experiences such as the Tornado, Speed Slide, Pipeline, Bullet Bowl, and the Aqualoop. With the intelligent control system for the water temperature, Watercube Waterpark provides you with perfect water all the year round. Transportation: Take bus 81, 82, 510 or 607, and get off at Beichenxiqiaobei. Beijing Happy Magic Watercube is the biggest water-themed park in the world which has the largest number of pieces of state-of-the-art water entertainment equipment. The Watercube has the biggest wave pool in the world, accommodating thousands of people, as well as other kinds of interesting and exciting entertainment, such as the Tornado, Speed Sliding and the Dark Bowl. Transportation: Take Subway Line 1 and get off Yuquanlu (Jade Spring Road), and go out from Exit D2, and then walk 120 meters to Yuquanlukou Nan to take bus 338 or 507, and get off at Meishikou. The Water Park in Suzhou Amusement Land introduces some new, reliable and attractive water entertainment equipment. It has developed a new spa which has 13 pools, such as the Dead Sea Pool, the Rose Hot Spring, and the Fish Pedicure area. Transportation: Take Tour Bus 3 or bus 38 at the Suzhou Railway Station; or take bus 3, 17, 30, 38, 42, 68, 301 or 601 in the city. Hangzhou Paradise is the largest water park in East China, with a unique feature. The Paradise covers an area of 30,000 ㎡, including a children&apos;s area of 11,000 ㎡, and a big surfing area of 6,000 ㎡. People can have a special and exciting experience of surfing, as if it were on the sea. The water entertainment includes the Happy Water House, the Large-scale Slide, the Water Swing, the Big Octopus, the Viking Boat, and the Waterfall Forest. Transportation: Take bus 515 at the Bus Station: Yan&apos;an Lu (Yan&apos;an Road), Longxiangqiao (Longxiang Bridge), or Guanxiangkou (entrance of Guanxiang Alley). Nanjing Happy Magic Watercube is located in Tangshan Town. It is also one of the largest water parks with the most advanced facilities in Asia. The water park consists of six areas: Exciting Surfing, Leisure Beach, Magic Sliding, Kid&apos;s Area, Fantastic Drifting, and Spa Area. The water park is so large that it is capable of accommodating 30,000 people. Moreover, people can enjoy the exotic water shows and surfing shows, and can take part in the games. Transportation: Take Subway Line 2 and get off at Maqun, and then take Tour Bus 5 or bus 121 to Qilinmen, then take another bus 123, and get off at Huanglishu. 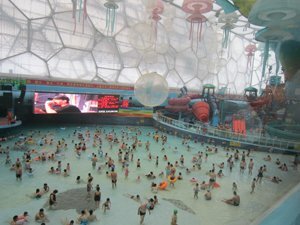 Chimelong Water Park, occupying an area of more than 10,000 ㎡, has the biggest artificial wave pool, offering nine games for people to choose from. The crest can reach 1.5 meters high. Also, it has the longest artificial river for drifting in the world, with more than 1,280 meters. 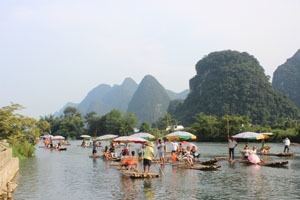 In addition to the water entertainment, people can enjoy performances of rock music, exotic dances, and acrobatics. 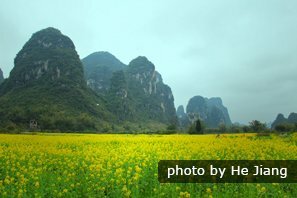 Transportation: Take Subway Line 3 to Fanyu Square, get off at Hanxi Changlong, and then walk out from Exit E. It is less than 1 kilometer away from the entrance to Chimelong Water Park. Maya Water Park of Shenzhen Happy Valley is a water park that has been developed based on the Mayan culture, owing to the different kinds of Mayan buildings. It is also one of the water parks with the most advanced equipment in China where people can have fun both at day and night. Moreover, the water park offers various types of entertainment for different groups of people including those who cannot swim. Transportation: Take Subway Line 1 and get off at Shijiezhichuang (Window of the World); or take bus 20, 21, 26, 101, 204, 209, 210, 222 or 223, and get off at Shijiezhichuang. 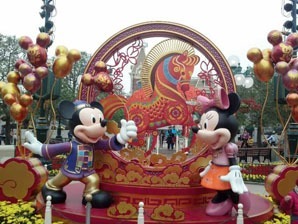 Our 9-Day Classic China Family Tour can be tailored to include water parks around Beijing, Xi&apos;an, and Shanghai. We can also tailor-make a personalizedtour for families, groups, or individuals interested in visiting any of these water parks.